In summary: this is only happening to a "small subset" of PC gamers, and not on console. EA is on the case and is "confident" of having a "permanent solution" for you "shortly". Until then, you're advised to avoid servers running PunkBuster. 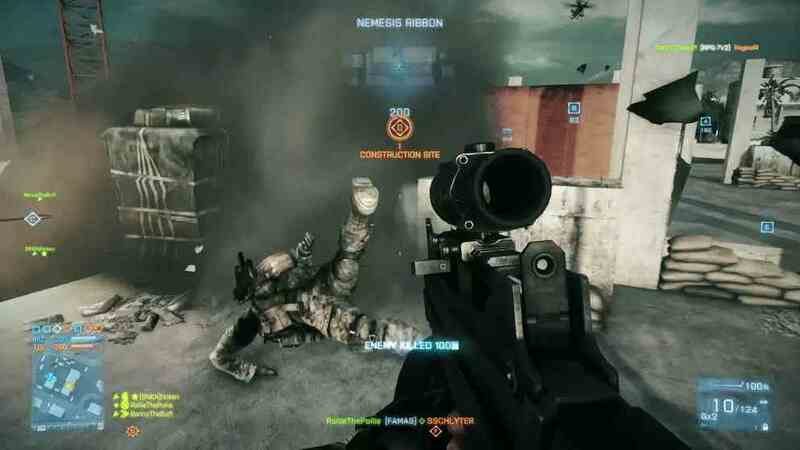 "We are aware that some Battlefield 3 players are experiencing connection issues with PunkBuster enabled servers," EA's statement read. "This problem is limited to a small subset of players on PC and will not impact players on PlayStation 3 or Xbox 360. "We are actively looking into the specifics of this issue and we are confident that we will have a permanent solution in place shortly. "In the meantime, if your connectivity has been affected, we recommend that in the interim you join servers that are not running PunkBuster. There is a filter setting for this in the multiplayer server browser. Original story: To prove how flawed Battlefield 3 anti-cheat and monitoring systems are, hackers have used a PunkBuster exploit to ban more than 150 law-abiding players. ArtificialAiming's argument is with GGC and PBBans. These are third-party services that run on Battlefield 3 servers and provide a host of anti-cheat tools - live ban lists among them. GGC and PBBans were working together, but broke off their partnership in October. "We are bringing back the unerring of PunkBuster back for a third season," read the post on the ArtificialAiming forum. "We have selected GGC-stream as the target since they have the most streaming BF3 servers and makes it very easy to add fake bans. "In 2011 we hit them with a mass ban-wave, and now we are banning real players from Battlelog while GGC-stream is totally unaware. We have framed 150-plus BF3 players alone." GGC-stream apparently denied the appeal of players who were framed by saying the bans were "legit". ArtificialAiming even created a host of fake nicknames on the banned accounts to signpost the problem. Examples of these are "No_one_is_safe", "You_will_never_find_all_the_fake_bans", "BF3_fake_ban_#111", "GGC_is_not_safe", "Many_more_fake_bans_are_coming" and "This_is_a_fake_ban". And that was just for one banned BF3 account. ArtificialAiming claims to have banned eSports League admins as well - although these bans were "quickly removed" by GGC. "Thx to the GGC-stream team for the lulz," the post concluded. EA and DICE are yet to comment on the issue.